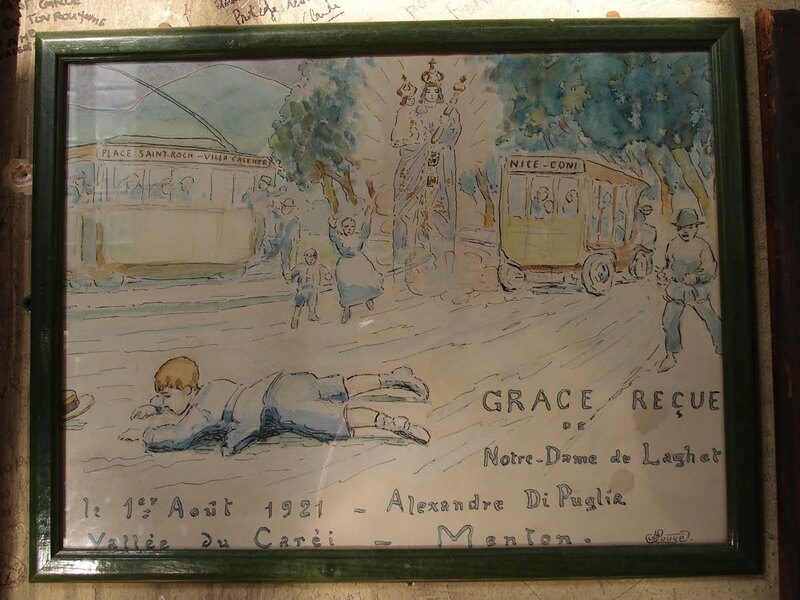 Many of the paintings give thanks for those who made it after an accident - for instance this little boy from Menton who was run over by a bus in 1921. 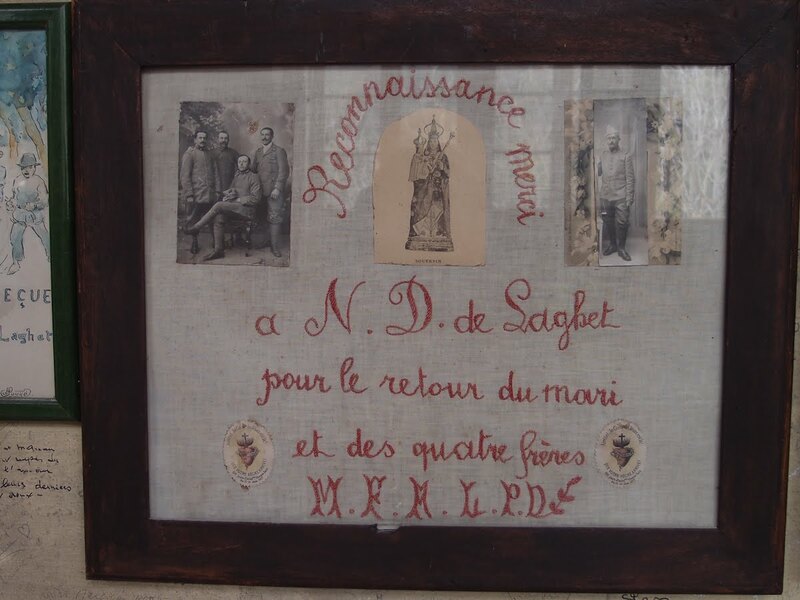 Others give thanks for sons and husbands saved in the Great War - see the hand-made sampler on the left. 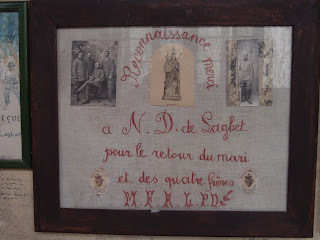 It's easy to imagine the lady who made this, giving thanks for the safe return of her husband and his four brothers. And then, there is the girl who gives thanks for passing her exam at school. I only saw one of these. You see sometimes the strangest exvoto in those chapels. 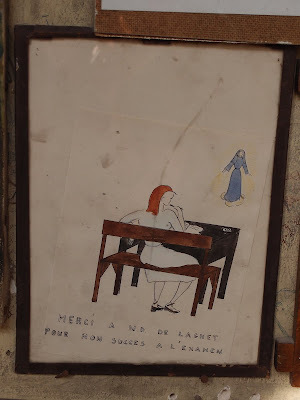 If you pass through Paris, have a look at those in the Chapelle de la rue du Bac. The drawing you show in large format has real artistic qualities to it. The one about passing the exam is very basic by comparison. The sampler giving thanks for the safe return of her husband and (his or her? not clear) four brothers is extremely moving. Given the number of men who never returned from the war, these five saved lives feel like a miracle indeed.